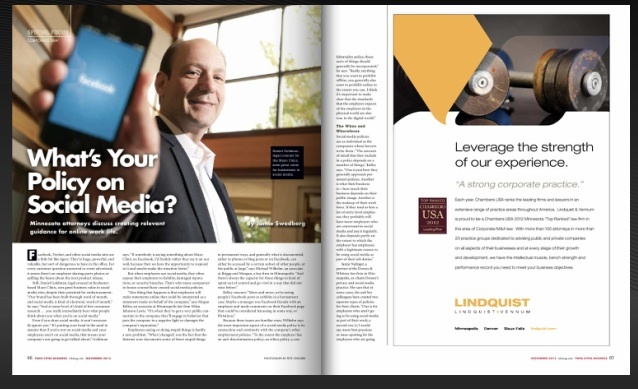 Dan Goldman, Mayo Clinic legal counsel, and member of the Internal Advisory Board for Mayo Clinic's Center for Social Media (#MCCSM), discusses social media in the November 2012 issue of the Twin Cities Business Journal. Dan sees great business value in social media sites. "Our brand has been built through word of mouth, and social media is kind of electronic word of mouth," he says. "And at some level it's kind of free consumer research...you really immediately hear what people think about you when you're on social media." 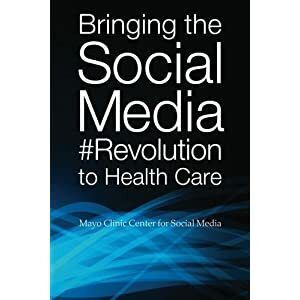 Dan also has also written a legal-themed piece for our new book, Bringing the Social Media #Revolution to Health Care. Get it on Amazon or click here for discounts for multiple copies. And at some level it's kind of free consumer research...you really immediately hear what people think about you when you're on social media.